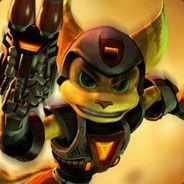 Hey everyone, It has been a while since I last played Ratchet and Clank however the Game popped into my mind a few days ago while I was playing Insomniac Games new masterpiece Spiderman! I decided I would hop on here and ask you all when you think the next Ratchet and Clank game will come out and If you guys think it will be a remaster of Going Commando or a continuation of the story from Nexus or if you would like to see something else entirely? Would love to hear your thoughts in this. - A reboot continuation of R&C'16. Likely to mix Going Commando and Up Your Arsenal. - Spiritual sequel to Nexus, yet still standalone for new gamers. 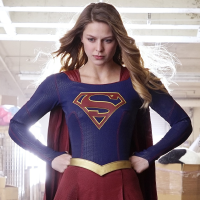 - Another reboot to the series, ignoring both the canon and movie timeline. - Nothing, this is it. At least for a while. I'm affraid option A seems likely because of the succes of the reboot game and all. It brought many people back to the series in a way that the Future Saga never did. So it makes sense to see them continue that line, perhaps into another trilogy. But I'd prefer them to continue the canon timeline. Wait. First of all, how'd you play the new Spiderman? That games not out for a while yet. I need to know more about this. As for the release of a new Ratchet & Clank, I don't think we'll see anything at E3, there's a pretty safe bet. And I would be surprised if we heard anything at this year's PSX, but there may be a slim chance of a quick little "Oh and Insomniac Games is making a new Ratchet & Clank we'll announce properly next year" type of deal. You know, like when they slipped it out with one of the Movie trailers back in... whatever year that was. But I do think we will get another Ratchet & Clank in the future. Probably an announcement next year, most likely the 2019 PSX. And they'll tell us it'll be out in 2020. These are some pretty far out there dates, but I am sure Insomniac are pretty dedicated to Spiderman at the moment, and if a Ratchet & Clank game was to be made, it'd probably start development this year. But that's a pretty wild guess. As for what it is. I'll bet it is probably a sequel to the PS4 game, and it probably won't have a number in the title. Just some (hopefully) dirty subtitle. And I bet the main villain will be Robo-Nefarious (it feels odd having to add that he may be a robot, like as if it should go without saying). And I am guessing i'll be fusion of the worlds and stories of R&C:GC and R&C:UYA, with plenty of new levels, but like, heaps of cut planets. However I doubt Qwark will play any sort of antagonistic role, as he is most likely to be just a good guy you work with, like in ACiT. I wouldn't mind a sequel to the remake, but I'd much prefer a continuation from ItN or at least a whole new saga. And "yes" to the dream. PAL regions have never had the "dirty titles" though (so neither did New Zealand?). Definitely missing out. 'specialy with our "Combustor", because Europe is fancy. Oops >.<, meant to say "watching" Insomniacs new game spiderman :P guess I was so over-tired! I like your avatar, MrSwiftey. "yes" to the dream. PAL regions have never had the "dirty titles" though (so neither did New Zealand?). Definitely missing out. 'specialy with our "Combustor", because Europe is fancy. We didn't get Going Commando, it was called Locked and Loaded, and Deadlocked was Gladiator, and they dropped the subtitle of "Future" for all of those games. So standard Europe stuff. The weird thing is that they made an exception for Up Your Arsenal. While Europe got Ratchet & Clank 3, we got a mix of Europe and the US with "Ratchet & Clank 3: Up Your Arsenal". I mean our rating laws are usually not as strict as Europe, but they probably gave us the European names of the games because Australia probably didn't want them. And we're often just viewed as "more Australia"
Ah, so you did get Locked & Loaded! The UK did too, but the rest received '2'. I have both in my possession though, couldn't resist! Didn't know there was a '3: UYA' though. Oh, I have Going Commando too. Must've slipped my mind. Need an Up Your Arsenal to complete my US trilogy though! If it's gonna be a sequel to the remake, then I hope we wouldn't be stuck with Cora for so long (I'm not a big fan of her both in the game and the movie) and it wouldn't be filled with too much unnecessary talks. Also, I want to see a lot of improvement in facial movements. The facial expressions in some of the remake's dialogues were just, kinda meh. I'm not gonna fully blame IG, though. They kinda seemed to rush the development of the remake, so it's still understandable. Yeah, more animated cutscenes would be nice, but I wish they will also look back at the old games and remind themselves, that interactions with NPCs used to also be means to make Ratchet and Clank interact with each other. Hmm... Brax, well, I might have liked him more if he were given more screentime. I just liked that when Ratchet was really hyped to do a lot of things and acted kinda childish before starting training, he calmly said "On time, rookie." Dunno, I just started to kinda like him from that point. But we had to be stuck with Cora and he had little screentime. Sigh. But I can totally agree that Elaris is really likeable. Good voice acting and, well, good character. Zed, uh, I kinda find him annoying, to be honest. Nefarious on the other hand, ooooooh yes Armin Shimerman is back with his great voice acting! I like Neffy's overall character both in the remake and movie. And about Ratchet & Clank, well better character development wouldn't hurt but I like them both in the movie and remake. The game, makes the problem even worse. There is no character development, no real interaction between the main two that doesn't come from scenes in the movie, only Qwark gets some acceptable treatement, since he's the narrator. 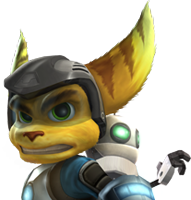 Ratchet is pretty much like in the movie, but Clank... is not a character. He is a puppet, a puppet to look shiny and play with during his levels, if people complain that Ratchet doesn't have a personality here, then Clank... has negative personality. I get they had little time, but... this was the worst writing in the official series ever, I didn't enjoy any of the characters and the laughs... I don't remember that much.